Transylvania holidays might not be at the top of your bucket list right now but still with me here because after reading about my recent trip to Transylvania I’m sure I can change your mind. I’m currently waiting to board my flight home after a magical 4-day holiday to Transylvania and Bucharest and it was an incredible, unique, once-in-a-lifetime kind of trip. I booked it as a tour with Untravelled Paths after finding a bargain deal on TravelZoo. 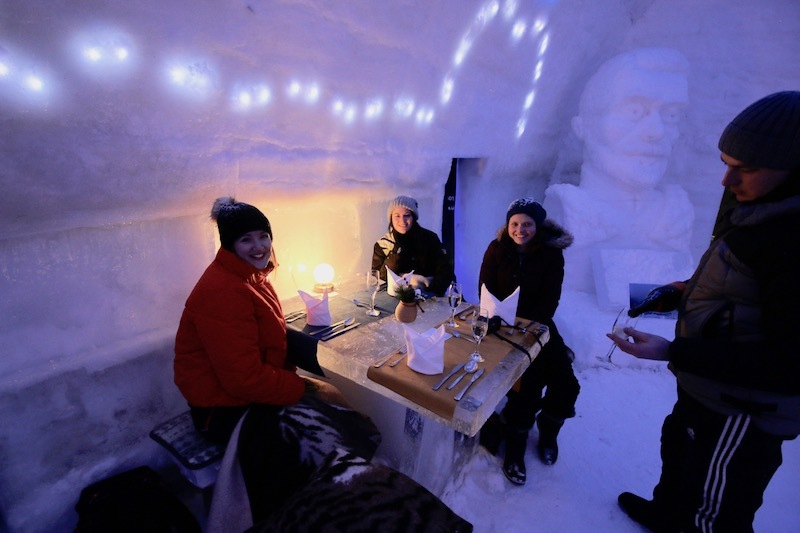 It was £299 for 4 nights, including one night in an Ice Hotel. I paid for an extra night in Bucharest to explore the city but I later found that one day in Bucharest would have actually been enough. There’s more info at the bottom of this post about my experience travelling with Untravelled Paths (spoiler: I loved them!) but let’s start with my Transylvania travel journal. Bucharest isn’t in Transylvania. It’s in southern Romania and is the country’s capital and is where most people will fly into. 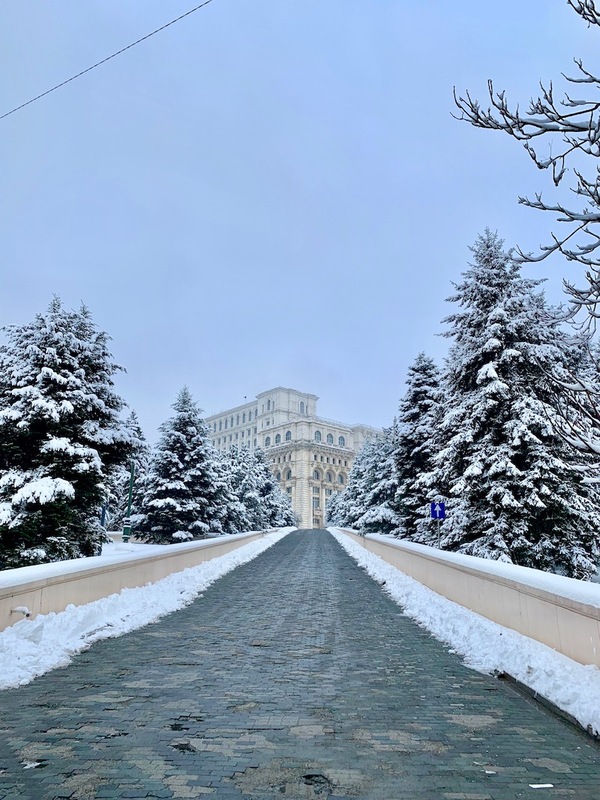 I took a late-night flight to Bucharest from Liverpool and I arrived at 2.30am to a city draped in a beautiful blanket of snow. I couldn’t have asked for a better welcome, especially as the Christmas lights were still up and they twinkled on the fresh snow like a magical winter blanket. I was staying at Z Hotel and I arrived at about 4.30am. I’d paid to stay the night even though it was almost the morning and I’m so pleased I did! I went straight to sleep and woke up at 10.30, just in time to catch the end of breakfast which was served at the hotel’s rooftop bar. I then went out to explore Bucharest and have a wander through the city’s beautiful streets. I discovered a gorgeous mixture of old and new with gritty streets leading to glistening buildings, incredible architecture and unexpected surprises around every corner. I didn’t really have any kind of itinerary but I wanted to see the Palace of Parliament and The Old Town so they were my first two areas before I let myself just wander and get lost, which is pretty much my favourite thing to do in a new city! After some wandering I made my way to Beans and Dots, a stylish (read: hipster) café with great coffee, tasty food and delicious cakes. It didn’t disappoint and was a great place to warm. The café is next to Cismigiu Park where there was an ice rink for the winter. I went back to the hotel to meet Elle who was flying in from London. We had a drink in the hotel’s bar and then went to Caru’ cu Bere for dinner. This restaurant is so touristy and I think virtually every tourist in Bucharest goes there! I was cringing inside at being so unadventurous but we actually loved it and I’d 100% recommend it! The hotel is grand and ornate and the food was delicious with traditional dishes at reasonable prices. I paid £9.50 for a large beer and meatballs with mashed potato. There was even traditional dancing and music. The following day was the first official day of our tour. We were a group of 16 people and our tour leader, Christina, was amazing. As we drove out of the city through the streets of Bucharest she told us about the city, about communism and living in a country ruled by Ceausescu. Christina’s stories were so interesting because, rather than just telling us facts and dates, she told us stories based on her personal experiences and those of her friends and family. It was fascinating and was one of the reasons I really like taking tours like this as you get to know so much more about a country in comparison to travelling alone. She told us about living on rations, the fighting in the streets of Bucharest and how the heating in houses was restricted, even in the depths of winter when it was minus 30 outside! But what I loved about Christina was that she always gave a balanced account of things and she wasn’t like many guides who simply recite facts from a textbook. We drove for about 3.5 hours until we reached the mountain town of Sinaia to see Peles Castle. It was at this point that I was so happy it had snowed the previous day because Peles Castle looked like it had stepped out of the pages of a fairy tale. The neo-Renaissance castle comes complete with turrets and spires, ornate statues, colourful stained glass windows and opulent rooms inside. The castle is surrounded by alpine forests and the Carpathian Mountains so you really do feel like you’ve stepped into a Disney filmset. Peles Castle was built in the late 1800’s for King Carol I and was used as a summer house for the royal family. 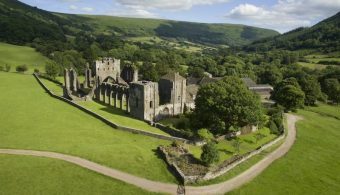 You have to take a guided tour to visit the castle, possibly due to the number of visitors, and you’re guided through about 15 of the 160 rooms. There seemed to be 4 or 5 tours happening at the same time as ours and each one had 20+ people, so the guides must keep everyone together in clusters. But it was a bit of a shame because our guide wasn’t great and we were ushered around quickly and I barely heard a word the guide said. Despite the bad guide, I couldn’t help but be impressed by the lavish décor, the intricate paintings and the glitz of the gold inside the castle. 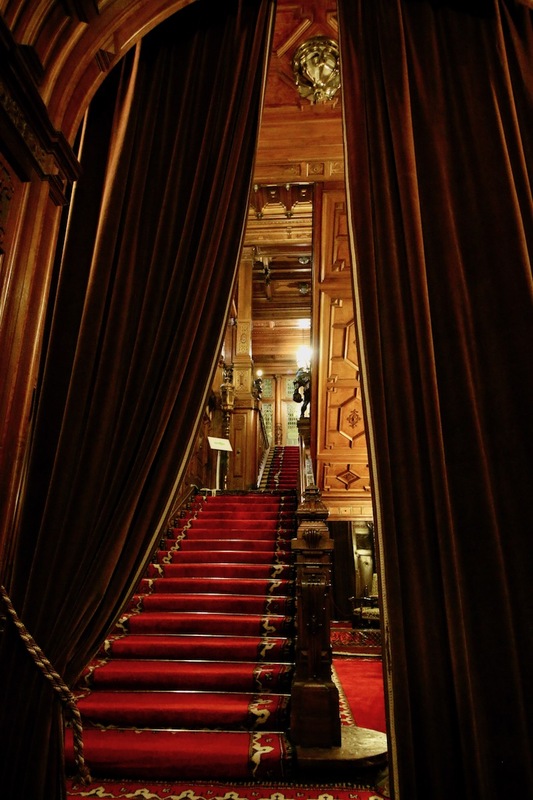 Random fact: Peles Castle was the first castle in Europe to have a vacuum cleaner! It was actually the first to have electricity and central heating and Romania’s first ever cinema. There is a café within the castle grounds where our group had a coffee before a one-hour drive to Brasov. Brasov was my favourite place on the whole tour and I was utterly charmed by this colourful, quaint little city. We checked into Casa Wagner, a sweet little hotel that Elle and I loved. It’s perfectly located in the city’s main square so you couldn’t be more perfectly located. Our room was like a room you’d expect in your grandma’s house with wooden furniture, pretty quilts and a snowy balcony. Elle and I had lunch at Trattorian which was nice but I later regretted having a long, leisurely lunch and wished we’d just had a quick bite and gone out to explore. Some people from our group took a walking tour but the main sites all seemed fairly close so we decided to head out alone with the help of Google Maps. We took the cable car to a viewing point above the city. There are letters at the top spelling BRASOV (a little like the HOLLYWOOD sign) that you can walk to and get a great view over the city but, unfortunately, we were a little late and we didn’t have time to do the walk and make the last cable car back down. It was still worth heading up and seeing the magical alpine woods all around and the city from above. 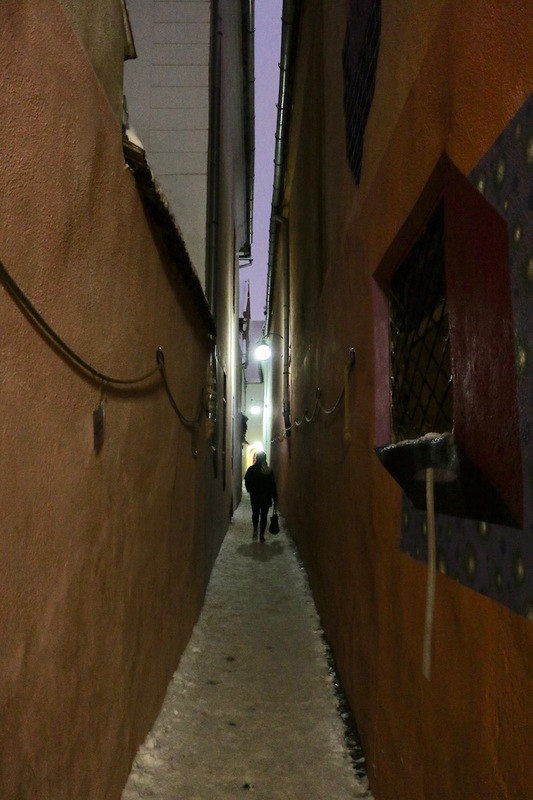 Visiting the ‘narrowest street in Europe’. I was unimpressed! That evening we met up with our group and went to Doctor Jekelius, a pharmacy style café/bar serving creative cocktails with worryingly pharmaceutical names. It was a lot of fun and we slowly made our way through the drinks menu as we got to know each other and Christina told us more about life in Romania. We went for dinner at The Bella Muzica, a restaurant in the catacombs of the Black Church. It was so atmospheric with low, curved ceilings lit by candlelight. Day 3: The Ice Hotel! We left Brasov at 9am and made our way to Balea Lake Cascada. It was a 3 hour drive but I barely noticed it took so long as we wound our way through the Faharas Mountains. The snow-capped alpine forest was stunning as we twisted and curved up the winding roads. We took the cable car up to the Ice Hotel and enjoyed a wobbly, 15 minute journey into the clouds where we were surrounded by nothing but white. It was disorientating when we arrived as there was about 2cm of visibility. The snow flurried around us and it was difficult to tell where the sky ended and the snow began. The Ice Hotel was so buried into the snowy mountain that you could barely tell it was there. 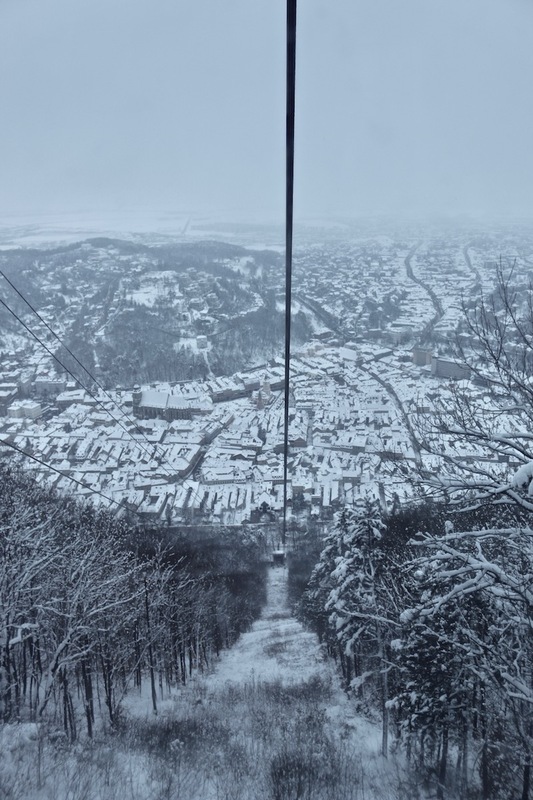 It was almost comical coming out of the cable car into a snowstorm. Many people dragged suitcases through the thick snow and this whole experience felt so surreal. The next time the words were uttered was as we skidded through the snow on inflatables. ‘This is so surreal,’ I muttered to Elle as we sat drinking shots in the Ice Bar while techno music blasted through the frozen room. The next was sitting at a table made of ice while we were served a delicious four-course evening meal. The next was dancing to Britney Spears while wrapped in a huge blanket and then singing along to Queen and Beyonce, all inside this magical ice hotel. We were in a giant igloo on the top of a mountain with a bunch of people we’d met the previous day but suddenly we were friends as we bonded over this incredible once-in-a-lifetime experience. There was a chalet next to the Ice Hotel where we could warm up, use the bathrooms and generally relax on a seat that wasn’t made of ice! There were also activities to keep us busy throughout the day such as snowmobiling, tubing and a snowy banana ride which was similar to a banana boat but on snow. There is also a tunnel trek but, due to the heavy snow, it wasn’t available during our visit. You could also cosy up in the chalet with a glass of red wine and a good book as you sat and watched the snow drift past the window. When it came to bedtime we were all a bit nervous and had a million and one questions for Christina who was constantly reassuring us we’d be fine. Christina had a room in the chalet where we prepared ourselves for bed, with some people layering up and getting more prepared than others. I was definitely at the ‘well prepared’ end of the scale. I went to bed wearing thick socks, fleece leggings, velour PJs, waterproof trousers (which I meant to remove but couldn’t be bothered), a tshirt, a thick jumper and a woolly hat. I wanted to wear my heated jacket too but Elle told me to take it off! I then had a very warm sleeping bag, a fleece blanket and another blanket on top. Once I was wriggled down into my sleeping bag with the hood tightly fastened around my head I was perfectly warm and it was another, ‘This is so surreal’, moment! I fell asleep giggling to myself before I drifted off into snowy dreams. I slept surprisingly well that night. I woke up a few times, but I think I always wake up from time to time during the night (the joys of being a mum with young kids!) Only this time I woke up and remembered I was sleeping in a hotel made of ice on an ice bed in an ice room, so I understandably woke up for a few seconds longer than normal. I slept from 10.30pm to 8.30am and even then I didn’t want to get out of my cosy bed, it was just the lure of a toilet in a warm building that coaxed me from my sleeping bag. We showered and had breakfast in the chalet before jumping back on the cable car and back down the mountain. 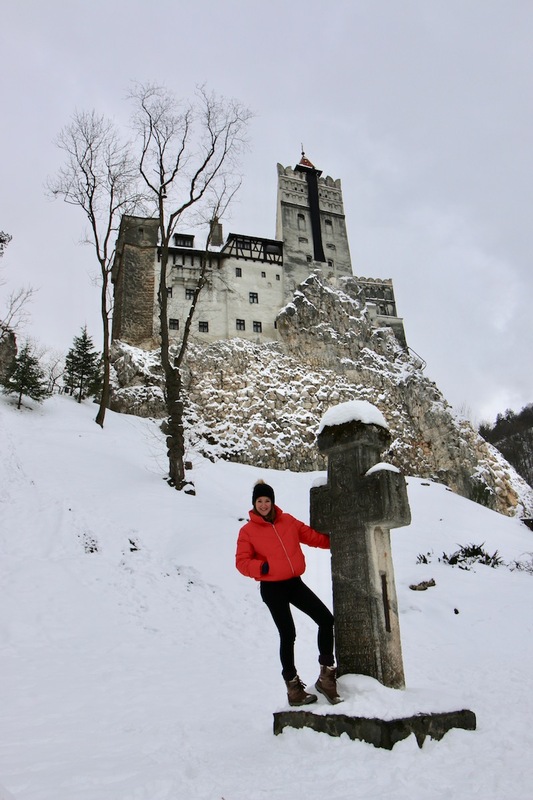 We had a 3 hour journey from the Ice Hotel to Bran Castle, also known as Dracula’s Castle, because no Transylvania holiday would be complete without a visit to one of the world’s most famous vampires! I’m a big fan of the book by Bram Stoker and I’ve read it a few times so visiting Bran Castle, where the legendary vampire is said to reside, was a dream. The 13th century castle inspired Bram Stoker when writing Dracula and all of Transylvania is steeped in creepy myths and eerie legends. Unlike Peles Castle, we were free to wander through the rooms of Bran Castle without a guide and explore the castle at our own pace. This might be Romania’s most famous attraction, but it was fairly quiet while we were there (apparently it’s really busy in the summer months). I was surprised to find there weren’t more vampire references throughout the castle. Obviously, Dracula and his blood-sucking buddies were mentioned but most of the information around the castle was based on historical facts and was more about the real-life history of the castle. It was really interesting and part of me was glad they didn’t make the castle a cheesy attraction like a theme park, but part of me was hoping for at least one vampire hidden in a secret passageway! We had lunch in Bran before getting on the bus and heading back to Bucharest where our tour ended. We were back to Z Hotel and, this time, Elle and I had a much nicer room. It was like being in a different hotel and we think we may have had the ‘overflow room’ during our first stay. If you do stay at Z Hotel, avoid room 102 because it was awful! On my final day I had a walk through a different part of the city and went to a couple of cafes. My favourite was the bar within Carturesti Carusel, a beautiful bookshop just a short walk from the hotel. I could have stayed in here all day! One couple from the tour took a 4-hour walking tour with Urban Adventures which sounded quite expensive at £30 pp but they highly recommended it and said it was great – so in hindsight I wish I’d done this but I did have a nice day cafe hopping. I’d paid extra to have a full day in Bucharest before the tour began but I actually didn’t need it and this day at the end of the tour would have been enough. Elle and I booked our Transylvania holiday through Untravelled Paths. 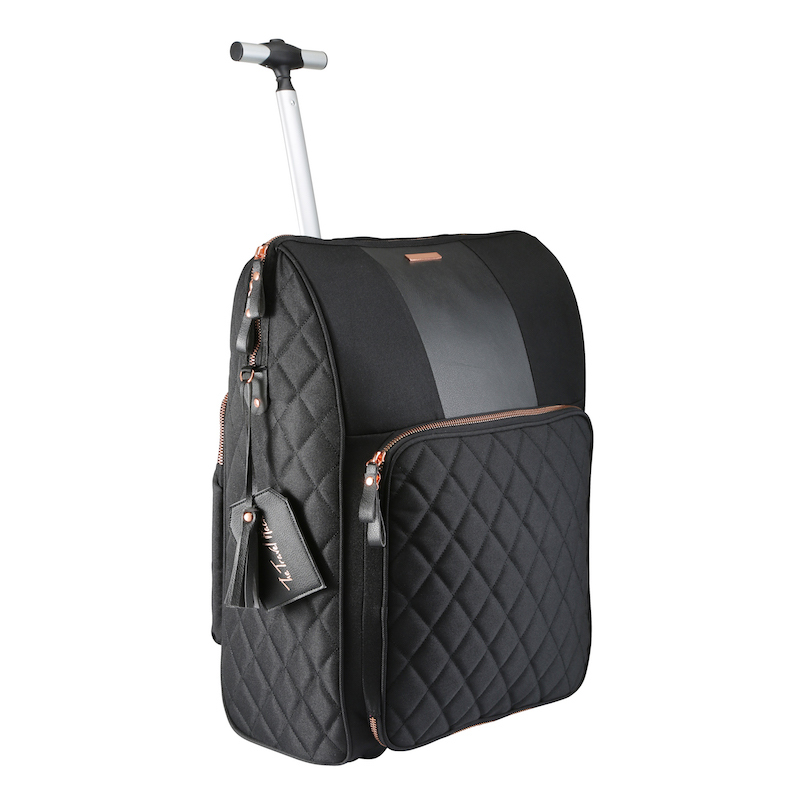 I’d found it as a special offer on Travel Zoo and the whole trip cost £299. On top of the £299 I also paid £80 for an extra night in Bucharest. 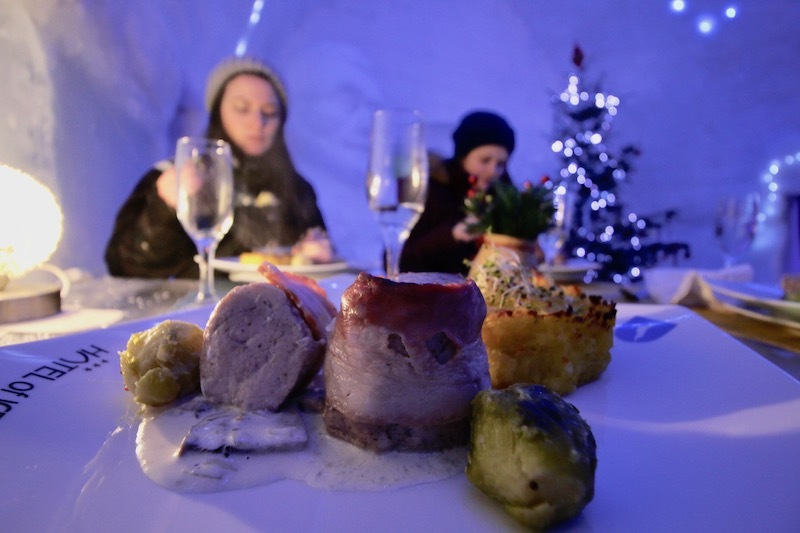 The other big expense was £40 for the 4-course meal in the Ice Hotel but, other than that, all meals and drinks were very cheap. So it was a total of £667 for everything. For such a unique trip, I think it was well worth the money and I think it’s one of the cheapest ways you can stay in an Ice Hotel. I really enjoyed travelling with Untravelled Paths. The whole experience was easy and enjoyable, which is exactly what I want from a holiday! It was lovely to know someone else was responsible for the travel admin and details like how to get from A to B. Christina was always on hand for recommendations on where to eat and drink and we had a lot of free time away from the group. It was a mixed group of 16 people with some couples, some friends and one guy on his own. Everyone was aged between about 28-65 and our group seemed to naturally divide into a younger group and an older group. Everyone in the younger group seemed to have loved the trip but there were a few niggles in the older group, particularly as they thought there was too much travelling on the final day. Personally, I’m not really sure how you’d avoid this. 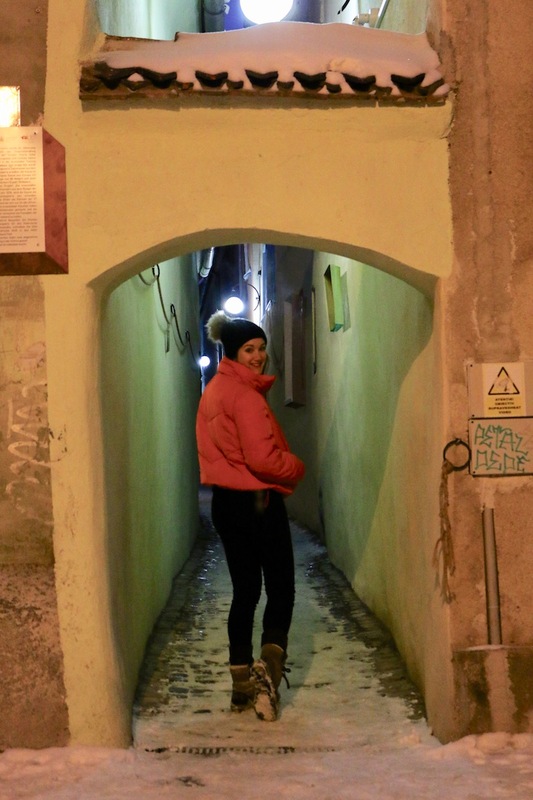 There was one meal where we all ate together and some people mentioned that they didn’t like feeling like they were herded to a restaurant, particularly because it ate into our time at Bran Castle. I would have liked more time at Bran Castle as we only had an hour to explore, but if we’d had two hours then you just know someone else would complain about having too long. I guess that’s the thing with group tours, many things have to be a compromise to suit the needs of many people. The only thing I would have changed would be to have an extra 30 minutes at Bran Castle so, all in all, I think that’s pretty good going for a four-day tour! I felt like I saw a lot more than I could have if I were travelling independently and it was a great way to see a lot in such a short space of time. I adored Christina, our guide, and I thought she did a fantastic job. She’s been a guide with Untravelled Paths for eight years (I think it was eight, it could have been 10) and you can really tell. She knows her stuff and she knows how to organise a large group but still has the enthusiasm as though this were her first trip. I hope you enjoyed reading about my Transylvania holiday. If you have any questions please don’t hesitate to get in touch in the comments or via Instagram. I’m usually the type to be freezing too so I wasn’t sure I’d love the cold but it really didn’t bother me. I had about 5 extra layers in comparison to most people though! We spent a month in Brasov a few years back (we’re slow travellers and were curious about Transylvania). I agree that’s its a really pretty town. Some interesting highlights in the region including the fortress at Rasnov as well as the fortified German churches around Brasov. 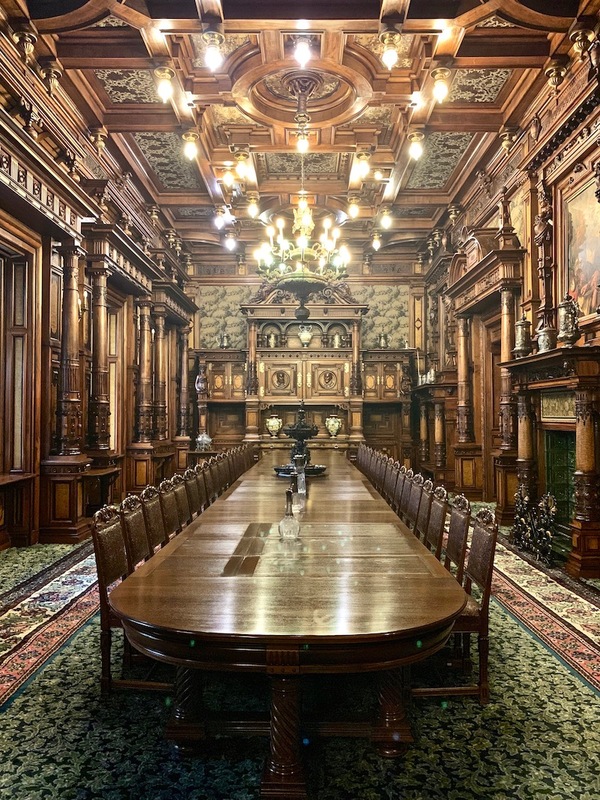 Loved Peles Castle, it’s actually one of the most impressive we’ve seen. But the ice hotel a very interesting experience. I don’t like cold and just looking at it makes me shiver…but interesting. One place we didn’t spend time in was Bucharest. Looks a lot nicer than I pictured, reminds me somewhat of Belgrade. We’ll be back in the region so I appreciate the info. I was surprised by Bucharest too. 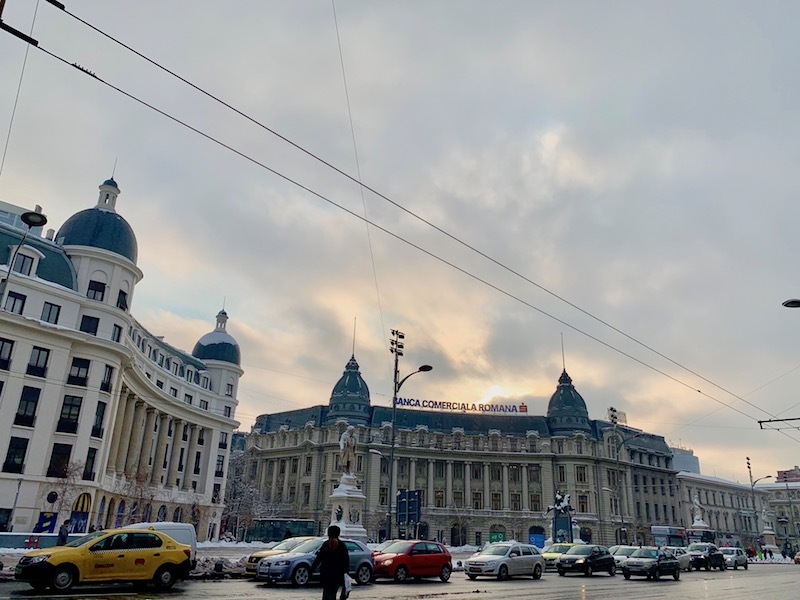 I didn’t really have any expectations but most people seemed to past through Bucharest quickly and just use it as a place to catch a plane but I loved it and thought it was well worth spending a day or a two. I took the same trip with the same company & had exactly the same feelings on it! We weren’t with Claudia but our guide Marius was wonderful too. (Also ate & drank at Bella Muzika, Caru du Bere & Dr Jekelius so your post made me feel like I was back there all over again!) I can honestly say it was one of the best trips I’ve ever taken and it was such a wonderful surprise of a destination. And yes to Brasov being the prettiest of all. I really hope to see more of Romania again one day but once in the ice hotel was enough for me! Hehe, same for me! 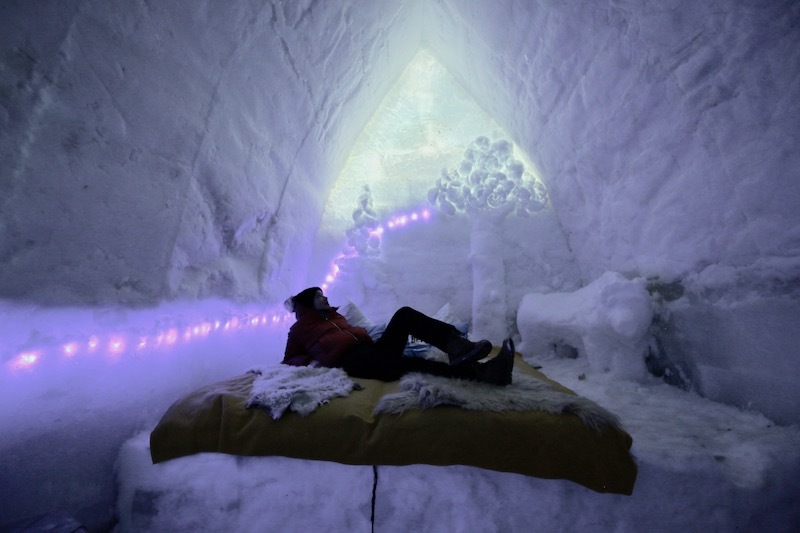 One night is an Ice Hotel is definitely enough. I loved it though and I’m so glad I did it. Posts like this make me sad I’ll only be in Europe for 5 weeks this spring/summer…I need to go back or stay longer! 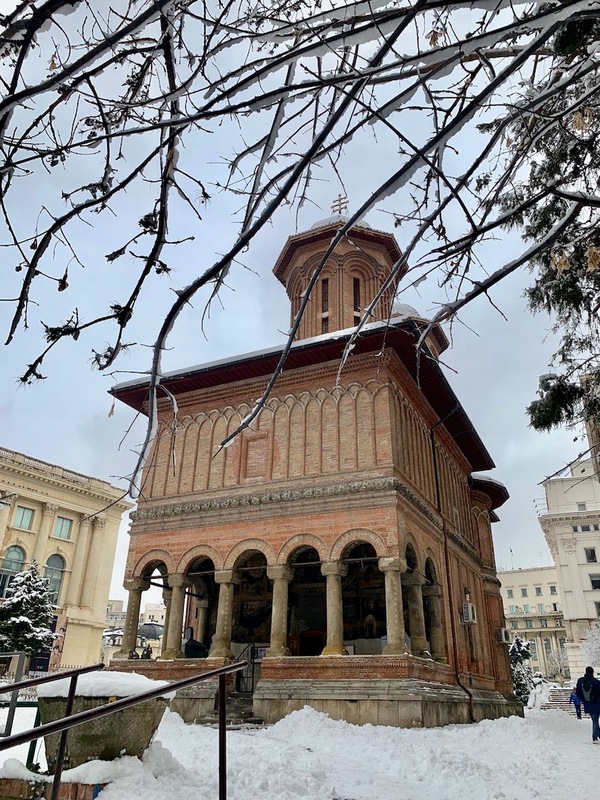 I absolutely loved the description of Bucharest…” a gorgeous mixture of old and new with gritty streets leading to glistening buildings”…it sounds divine! 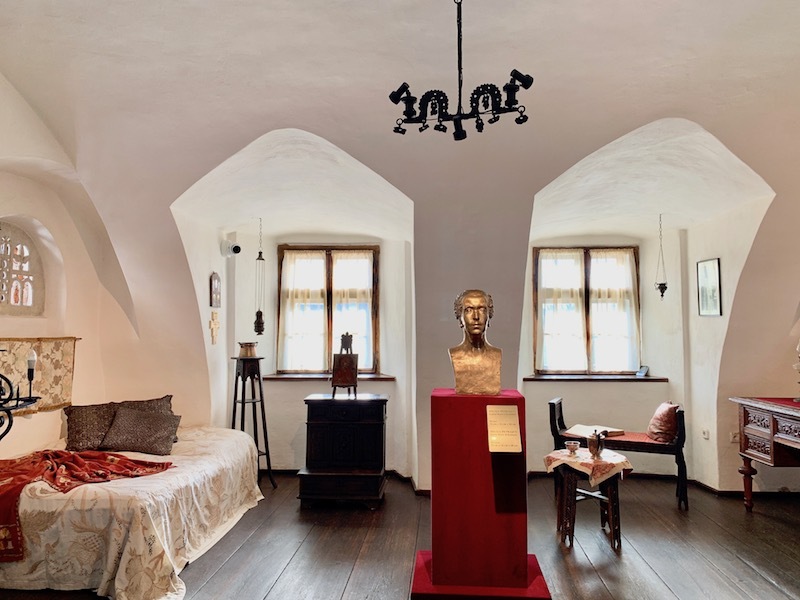 One small correction, Bran castle has nothing to do neither with Dracula from the book, nor with Vlad Tepes. This claim was invented only in the 1970s for marketing reasons, and it’s quite sad for us. Really!? I had no idea. Even our guide didn’t say that. We were told Bran Stoker visited and took inspiration. Interesting. I have to admit, Transylvania isn’t somewhere I’ve really considered for a holiday, but your photos are beautiful – what a stunning place! (I especially love the ones of the castle.) I’m not sure I could cope with the ice hotel (I’m rubbish at being cold) but, again, it looks so interesting and inspiring. Hi Monique, amazing! Ahhh you’re going to love it! And yes I wore my heated jacket most of the time. I’ll write a packing list and share it with you soon! This sounds like such a great trip and really good value too. 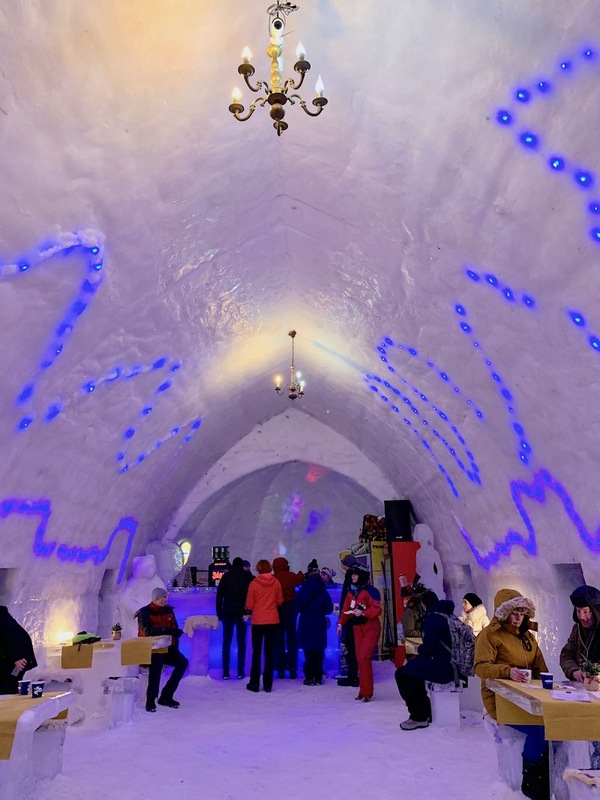 I love the sound of the ice hotel, especially the singing! I would definitely be like you though and have a hundred layers on as I’m always cold! I’m not really a fan of winter. It’s so cold and I’m sick of it. But I’ll consider the ice hotel. It sounds very interesting and so unique. I wonder how does it feel to try that snowy banana ride, it might be so fun. Thumbs up for Transylvania again. Btw, Peles Castle is indeed beautiful.